At last first light for the Astrotech 12″ RC Truss! Finally after collimating, establishing a new pointing model with the new payload and working out some glitches with the new image scale in the various control programs a successful 2 hour test run was accomplished. 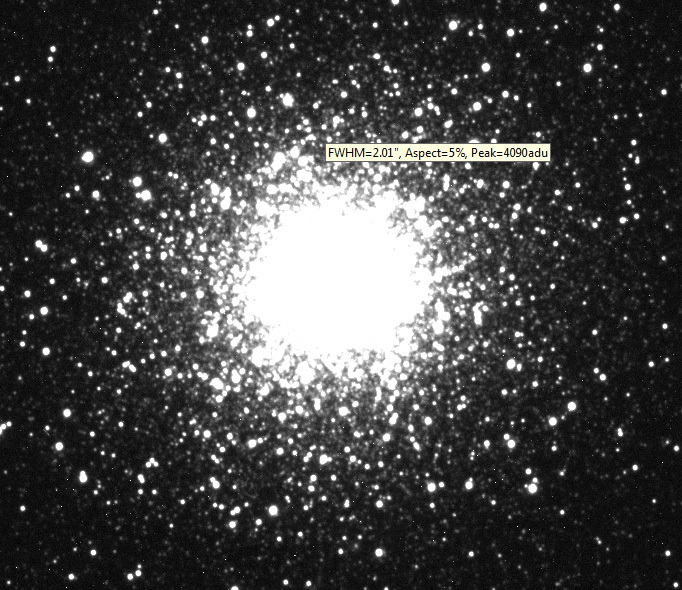 For our test I chose a globular cluster. This is an excellent way to assess the general alignment and collimation of your optics. Stars are unforgiving especially at the full resolution of your set up. How many times have you seen images posted of nebulae etc which look great at fractions of the full image scale only to show the egg-shaped stars when the true full resolution version is revealed! Don’t be like those guys! Now about our target! 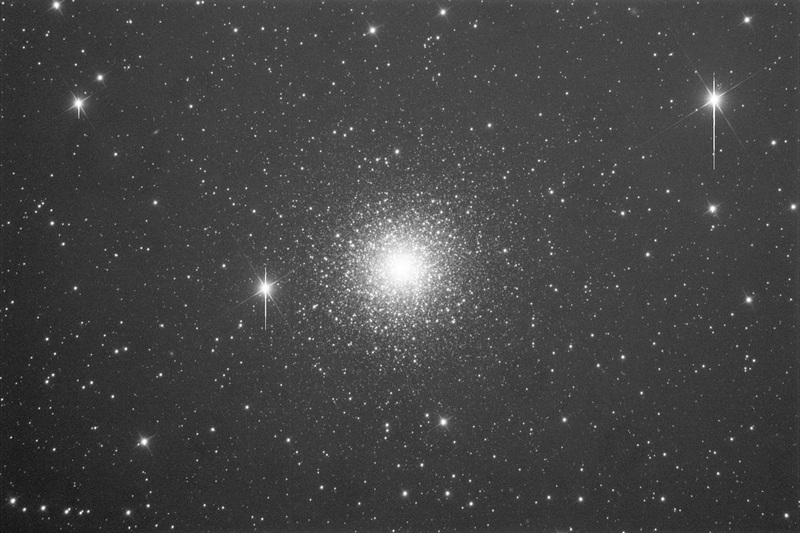 M15 is well positioned right now in Pegasus almost directly above us so this is great for our test object. 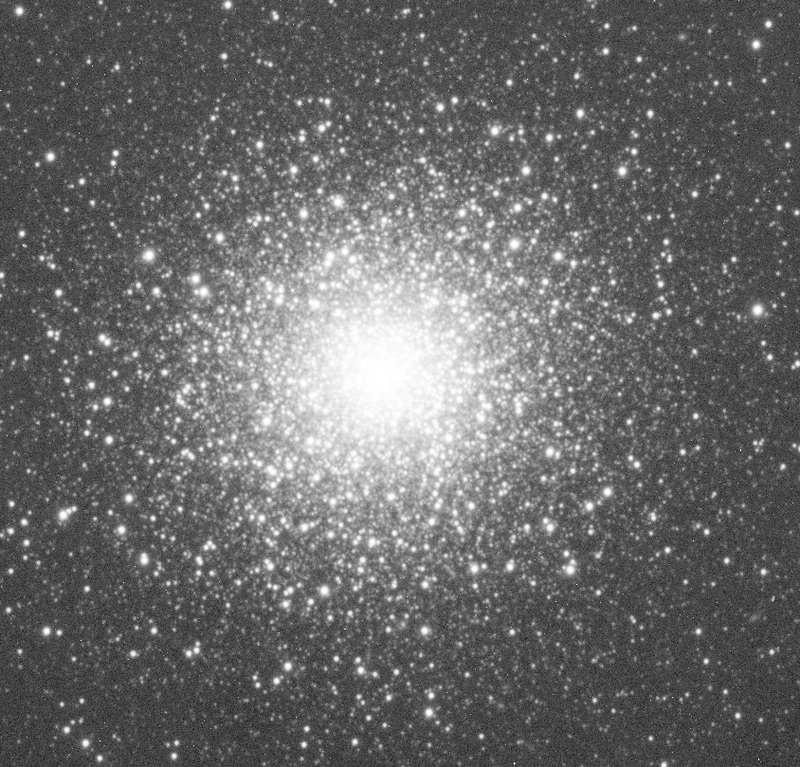 It is one of the most densely packed globulars in the Milky Way with an enormous number of stars in the center. It has a number of variable stars and pulsars in it as well, AND the first planetary nebula discovered inside a globular! I think overall I am satisfied with the test results and we can now move forward with our imaging projects! This is the CCD Inspector Viewer pane which shows the very nice feature where you can display the object parameters by just moving your cursor over it. Shown is a core star with aspect ratio and Full Width at Half Maximum values. I think this is a keeper!